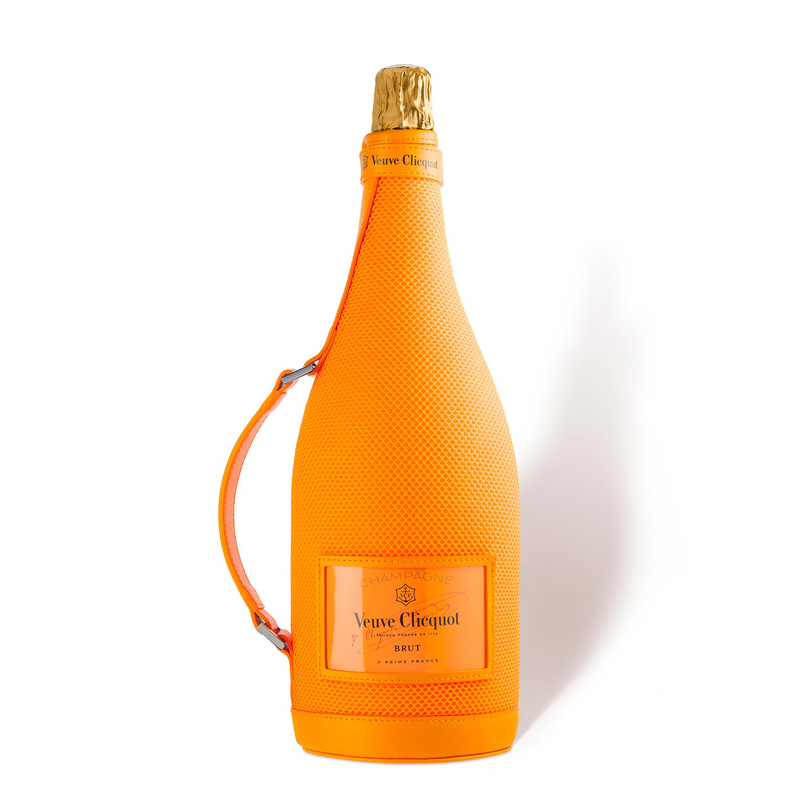 Veuve Clicquot Brut 150cl Magnum Ice Jacket, This new-style jacket is a product of avant-garde flair and isothermic technology. The Ice Jacket is fully insulated and will keep a chilled bottle of champagne at the correct temperature for approximately two hours. 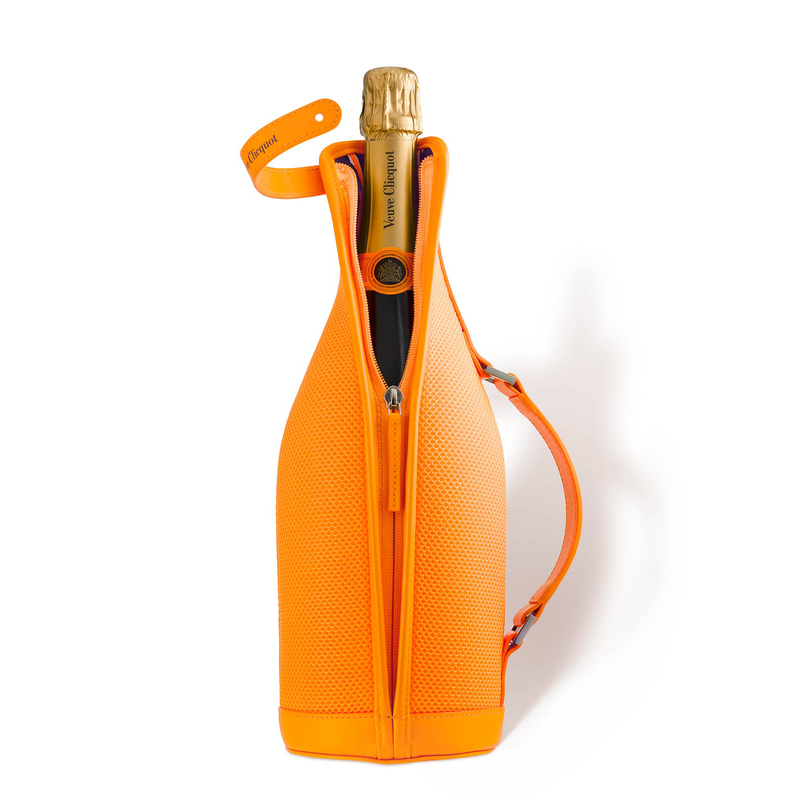 and comes with a handle to make it even easier to take Veuve Clicquot Brut champagne on the go. A beautiful golden-yellow colour, with a foaming necklace of tiny bubbles. The nose is initially reminiscent of white fruits and raisins, then of vanilla and later of brioche. Note the fine balance between the fruity aromas coming from the grape varieties and the toasty aromas following the ageing in the bottle.